Get a grip before you make me sick. The things you say of low-self-esteem. Life is hard and nothing is for free. So swallow your pride and follow your dream. It's hard enough as it is. Free your mind from all the stress that you give. There is more you can achieve. In yourself you must believe. Please leave me alone in my nightmare. Wrong is in my dreams. Life is what it seems. Don't you know that you're driving me up the wall. That's why you feel so small. But I know these times are hard. Face up and you will see. You must persevere 'cause you still mean a lot to me. You're struggling from the start. 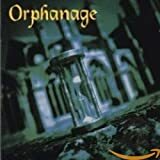 All Orphanage - Grip lyrics are property and © copyright of their respective owners. All Grip lyrics provided for educational purposes only.